Clownzilla is Southern California’s only clown troupe, and ‘Clownzilla: A Holiday Extravaganza’ is their second full-length show. Early on in the process, I realized that what I was trying to do was give the clowns (who do not speak) a voice. This idea led directly to the idea to create all of the original music using the human voice. I assembled all of the musical elements and then worked in the rehearsal hall to develop the design and score. The time I spent in rehearsal led to an intricate and tightly composed score that seemed to seamlessly interact with the clowns. 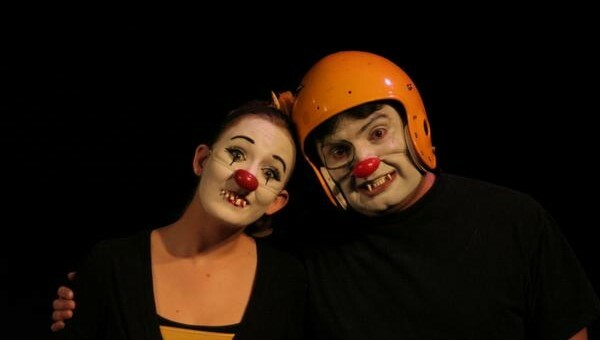 The result is a silly and energetic original clown piece, in the vaudeville tradition. This is a transition piece between scenes. Easter featured the clowns dressed as bunnies & hopping around the stage. Towards the end of the piece, one bunny poops out a decorated egg for another bunny. At the end of the play, the clown family is reunited in a beautiful angelic moment.